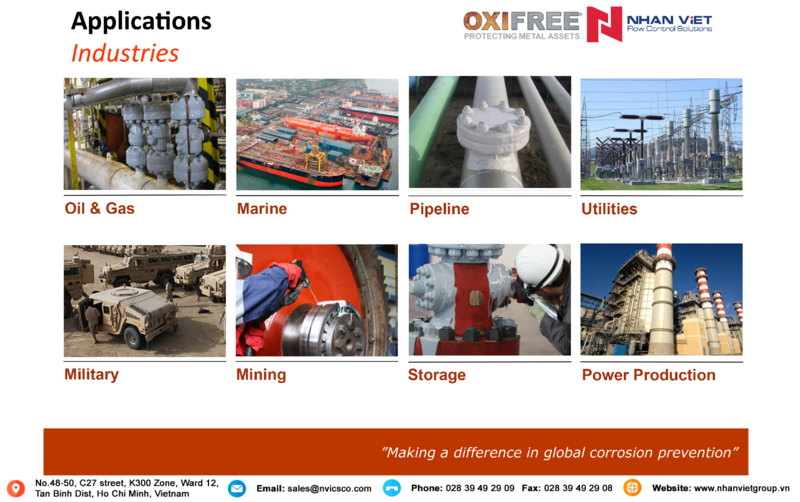 Nhan Viet offers corrosion control solutions (CCS) in Viet Nam market. 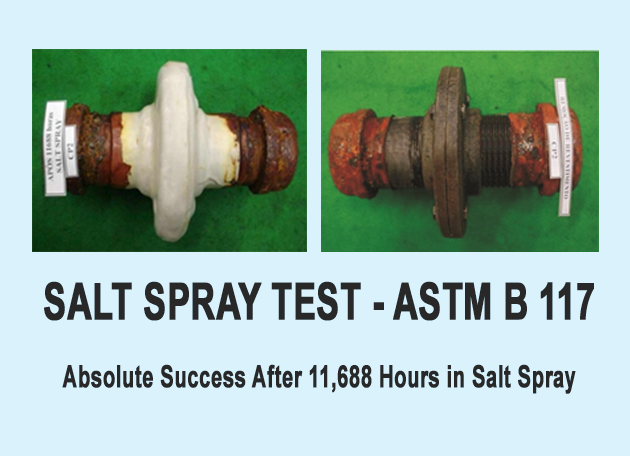 The Oxifree has been thoroughly tested to 11,688 hours of "industry standard" Salt Spray test, which complies with ASTM B117 corrosion testing which is equivalent to in excess of 50 years ‘in the field'. Oxifree has also been through ASTM G56 UV/Weathering test and again exceeded required longevity with ease. The Oxifree is a sprayable polymeric resin coating for the protection of metallic items that meets and exceeds the expectation of corrosion prevention coatings. It contains organic corrosion inhibitors which is reusable and provides protection against all corrosive contaminants with the key commercial advantage of remaining extremely easy to apply and reuse. In addition, it contains under 0.5% Volatile Organic Compounds (“VOCs”) which has no adverse ecological or environmental effect. When applied by a simple heated application machine, it provides a pliable polymeric barrier coating, which will protect all types of metal components against galvanic pitting and atmospheric corrosion. It is designed to create a barrier for a range of vulnerable equipment and components from water and dust ingress.